Teeth – *REDGRAVE* -Teeth (With Bella Skin). Necklace – ::Fe:: Cross Necklace – [NEW]. Nose Piercing – Cobrahive Mainstore N-Swirl. 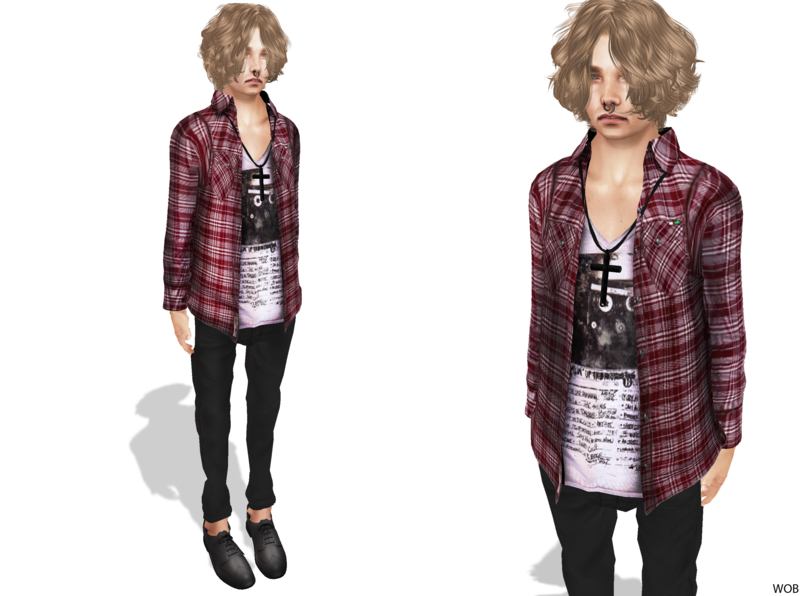 Shirt – <kal Rau> Plaid Shirt Mesh_Red_Tee 07 – [NEW] . Pants – *ARAI* Chino pants 03_black. Shoes – FIR & MNA The Solas Shoes Suede. Esta entrada foi postada em 2012/02/09 por poolfeden. Foi arquivada sob Uncategorized .